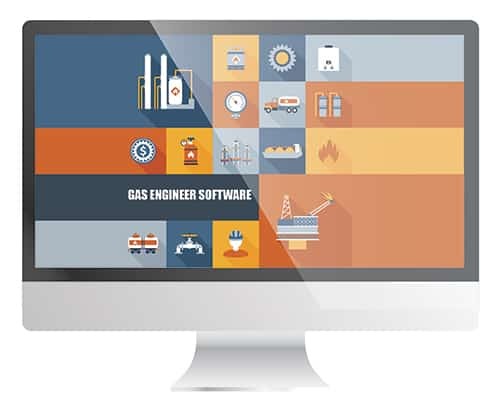 How Can Our Gas Engineer Software Help You? As a plumber having time in the office is a rare thing, being out fixing boilers, radiators and replacing pipes for your customers is what your workforce is based around so communication is key especially when working away from the office. So, take full ownership with a few clicks of a button with your Plumbing & Heating business with our leading job management software, Eworks Manager. The job planner helps staff schedule new jobs on a desktop, mobile or tablet. Our job sheets feature enables your team to quickly create digital job sheets in advance for each planned job and edit job sheets on the move. All job sheets are digital and all certificates can be completed onsite and signed for. Booking in your reoccurring jobs is easy too as Eworks Manager will store them in your system and they will re-appear closer to the appointment so you can assign a worker on the job. Our software is built specifically for Plumbing & Heating companies and assisting with the organisation of finances, past, current and future jobs. It enables you and your customers to log jobs, plan jobs, send job SMS notifications, monitor inventory, create ongoing jobs, job invoices, quote jobs, manage assets, track your vehicles, and monitor employees in real time and much more. With our digital document service, you can go completely paperless, having customers sign off on jobs right there and then enabling you to invoice right away. You can also digitise all your gas safety certificates so they can be filled in on your smart phone or tablet device. Once complete your certificates are all filed away against the job with easy access to all your document history. If you would like to find out more about our gas engineer software, please get in touch with a member of our sales team and set up a free online demo of the system!